Pujara has scored over 500 runs in the series and is the only player to have even crossed the 400-run mark. If the 2014-15 tour of Australia is remembered for Virat Kohli‘s unbelievable batting exploits then the same can be said about Cheteshwar Pujara in the ongoing series. It would not be entirely wrong to say that Pujara has been the difference between the two sides so far. India currently lead the series 2-1 and the No.3 batter played a huge role in both the victories and has put them in a commanding position at the SCG. During India’s last Test tour of Australia, Kohli had amassed a record 692 runs in 8 innings at an average of 86.5 including four hundreds and one fifty. He had begun the series with two centuries in the very first Test, scoring 115 and 141 to take India agonisingly close to a stunning win. That was only the second instance when an Indian scored a hundred in each innings of a Test Down Under. He had gone on to score two more tons. But unfortunately and unlike Pujara, Kohli could not fire India to a single win. The Saurashtra lad has so far scored three tons with his latest being an epic knock of 193 in the ongoing fourth Test at the Sydney Cricket Ground. It is the highest total by an Indian since Sachin Tendulkar‘s monumental 241 at the same ground during the 2003-04 series. Pujara is now the leading run-getter in the series and looks well set to finish the series at the same spot. In a series, where only one batsman Rishabh Pant (350) has crossed the 300-run mark, Pujara has amassed 521 runs at an average of over 74. Pujara – the new Kohli? 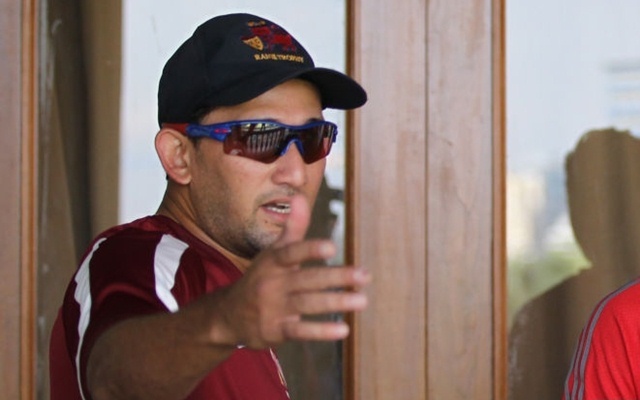 In reply, Agarkar came up with a funny reply – “He is the new Pujara,” the Mumbaikar said on ESPNcricinfo. India, meanwhile, declared their innings in Sydney on 622 for 7 before the hosts raced away to 24 for no loss at stumps on day two.